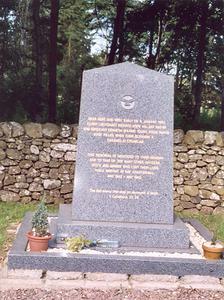 Granite stone of remembrance resembling a headstone. 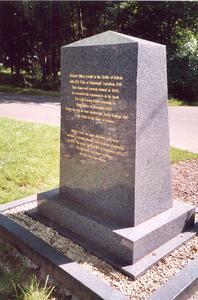 Lettering engraved in gold. 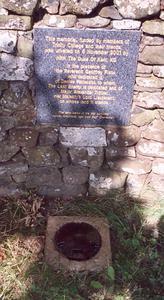 Stone of remembrance is set upon a two stepped base and set into a drystone dyke.